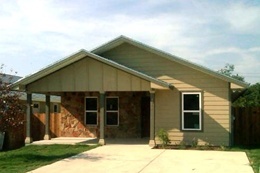 Please join me in the fundraising effort for Austin Habitat. The organization does wonderful work in the Austin commmunity with a great model of providing working families with a hand up rather than a hand out. I have personally contributed $2,500 to the 2011 Directors' Build and please help me raise the additional amount to get to the $7,500 personal fundraising goal. Any contribution would be appreciated.